Armenia > Armenian > Armenian Culture > Armenian Festival | TOP 10 Festivals To Have Fun & Try Delicious Food! Armenian Festival | TOP 10 Festivals To Have Fun & Try Delicious Food! Share the post "Armenian Festival | TOP 10 Festivals To Have Fun & Try Delicious Food!" Armenian festivals are one of the best way to explore Armenia and its culture. Various festivals with various backgrounds and celebrations are at your disposal. Now, let’s grab it! If you have already planned a holiday trip to Armenia and wonder what traditional or modern festivals you can catch during your stay and historical sightseeing here, there is good news for you! The country is full of surprising, colorful, unexpected and interesting Armenian festivals that take place every year in the high season, so that both tourists and locals can enjoy them. Those festivals would interest adrenaline lovers, theater enthusiasts, explorers of different national customs, traditions, and why not – cuisine, Armenian food! They include from Carpet festival up to High Fest International Theater event (usually held in October), and Extreme Sports festival (organized annually in July at Sevan Lake). Here, we present the most popular and spectacular tourism events and festivals in Armenia. “Navasard” is the ancient Armenian New Year when pagan Armenians worshiped the Sun and celebrated it by cooking food in tonir. Tandoor – a term referring to a variety of ovens best known as cylindrical clays or metal ovens used in baking and cooking. Navasard festival can become an unforgettable holiday accompanied by celebrating with Armenian awesome food, traditional games, singing and dancing. Some festivals are aimed at promoting and encouraging Armenian tourism in rural areas. Areni wine festival is one of those events that demonstrate the traditionally rich history, culture of the country and national characteristics of the country. 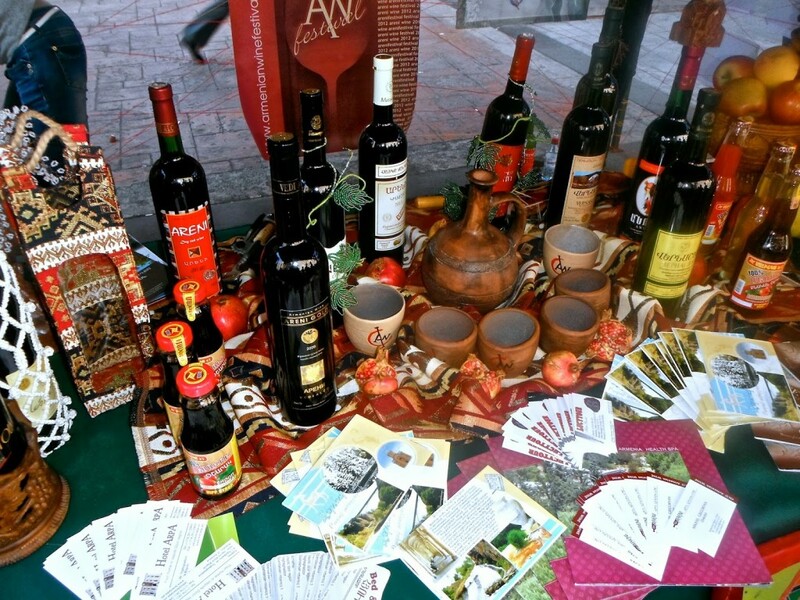 Wine festival is accompanied by various exhibitions of wine, cheese, also paintings, traditional dances, and national songs. You will enjoy not only sightseeing but also eating a delicious combination of wine and cheese! The Carpet festival that takes place annually, is usually organized in the city of Dilijan (Tavush Region). In the framework of the festivals, different handmade items and colorful national carpets not only from Armenia but also from Artsakh (Nagorno-Karabakh) are presented. The main goal of Carpet festival is developing rural tourism by raising interest toward local social, cultural and economic life, and attracting tourists from all over the world to this spectacular region. In terms of cultural and spiritual significance in Armenia, just like among many other nations, their kitchen is also very important. Indeed, there are many festivals dedicated to national cuisine. They give foreigners an opportunity to get to know ancient cultural deposits, and definitely taste a variety of dishes. The Barbecue, art and music festival is one of the mentioned ones. It is also aiming at promoting rural and regional tourism, as it is always very valuable both for tourists and for locals to be involved in contributing to development of cultural values and creating an amazingly festive mood. During the festival, you can attend various exhibitions, presentations, theater games, national music, dancing, master classes. While Americans are celebrating their independence on 4th of July, Armenians are gathering for Mulberry festival. The main goal of Mulberry Festival is to make the region of Syunik more attractive and interesting for travelers by giving them a great opportunity of tasting various drinks and Armenian food made from mulberry. And why not? Learning local recipes for making Armenian food when they go back home. 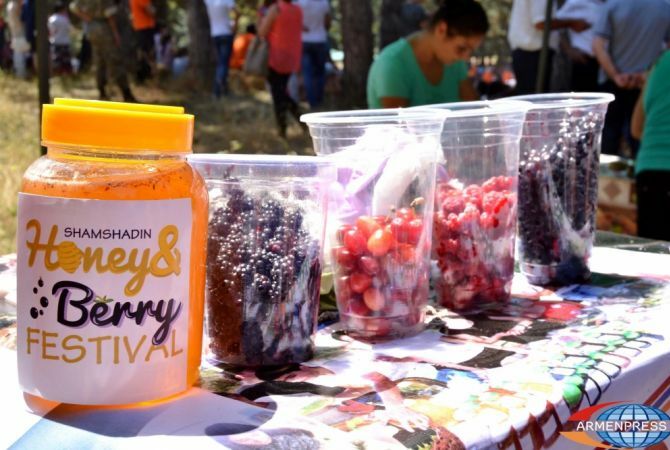 Honey and Berry Festival is held in Tavush region of Armenia, in Shabshadin. Like most of the traditional festivals mentioned above, this Armenian festival as well involves local community representatives who are actively involved in organizing and its implementation. The visitors are allowed to endlessly enjoy Tavush’s Shamshadin/Berd town honey and berries, and national dishes made from honey and those berries. You can also buy some handmade items, various handicrafts from local hospitable people who present and sell those items during the festival. The festival will present a huge opportunity for anyone who attends it to share and exchange cultural values of different communities, contribute to ethnic tourism as well as regional economic development. Sheep Shearing Festival is aimed at contributing to the regional economic, cultural and public development. Usually, there are representatives from several communities who take part in the event. All of them are given the chance not only to taste traditional dishes, but also to listen to or watch live performances. So, if you attend this Armenian festival, why don’t you take dancing lessons during the festival? Fish festival is usually held in Abovyan town (Kotayk region). It combines features of both national, traditional and more modern dishes made of fish. If you are a fish lover or fish eater, yes, surely you should visit in April. This Armenian festival takes place in the village of Khachik located in Vayots Dzor region of Armenia. You can become an eyewitness of the largest baked gata (which is an Armenian pastry) in the world. And, that’s not the only thing you will enjoy during the Armenian festival. You can also take part in the activities such as traditional dances, songs, games, horse riding, buying and selling handmade art & crafts. There is also a small village museum you can visit as well and are many other surprises you will amazingly get to know during the event. The Armenian festival is organized at the memorial complex of “Sardarapat” located in Armavir region of Armenia. The festival’s goal is to make Armenian dishes popular so that guests of the event become familiar with the recipes for the preparation of the dishes on their own. On this day, you will also become an eyewitness of a competition held for the title of the original and best version of the ancient dishes. Taste participants’ dolma (tolma) and give your assessment. All in all, it is not difficult to notice that many of the mentioned Armenian festivals have one thing in common. They are meant to unite the community, people of various cultures, social classes, make the cultural values exchange and enrichment more attractive. You can clearly see the main point of all the events – it is gathering people for having fun in a national and traditional way as these are very significant terms for Armenians. But Armenia is also very hospitable toward anyone who shows even little interest in their culture and each Armenian will surely and willingly guide you to the colorful and rich world of Armenian ancient and modern history. Other Related Posts of Armenian Festival | TOP 10 Festivals To Have Fun & Try Delicious Food!